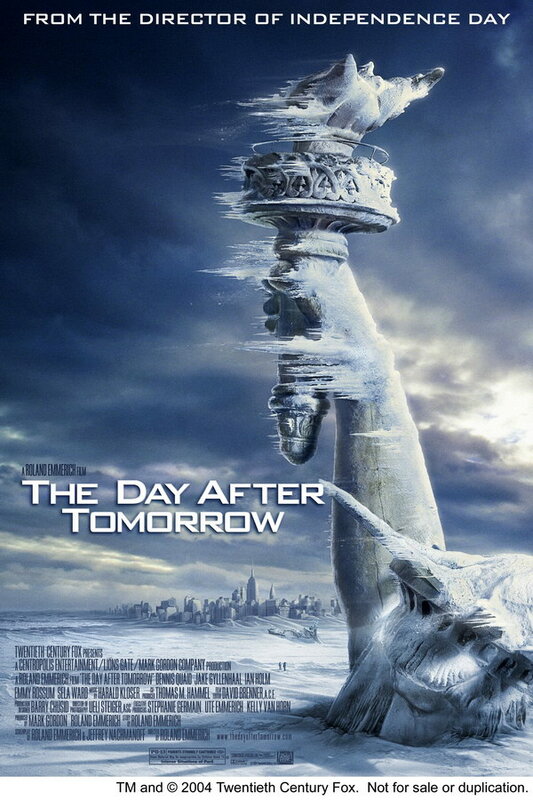 The Day After Tomorrow font here refers to the font used in the poster of The Day After Tomorrow, which is a 2004 American/Canadian science fiction disaster movie that tells the story of Jack Hall, a paleoclimatologist, who must trek across America to reach his trapped son. The movie title in the poster is set in Bank Gothic Bold designed by Morris Fuller Benton. The font is a commercial one and you can view more details about it here. In addition to The Day After Tomorrow, Bank Gothic typeface is also used in the following logos, movie posters or album covers etc., including: Nintendo 3DS, ER, Section.80, X-Men Apocalypse, Solid State, Knowing, Eagle Eye, X-Men Origins: Wolverine, Lockout, LXG, Quarantine, Hunger Games, Gridiron Gang, Agents of S.H.I.E.L.D., Square Enix.